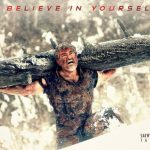 Tamil cinema’s one of the most popular superstars Ajith Kumar starrer Vivegam has started the journey on an outstanding note and registered highest ever opening of his career in Tamil Nadu. Siva’s directorial this action thriller is being liked by everyone and as expected getting rave response at box office worldwide. 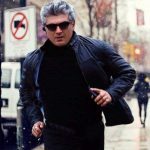 Alongside Ajith, Vivegam stars Vivek Oberoi, Kajal Aggarwal and Akshara Haasan in lead roles. All the actors have performed brilliantly well and getting praised by all the viewers as well as critics. From most of the critics, the movie has received positive reviews and as a result gained strong word of mouth. On the opening day, Ajith’s latest offering recorded almost 100% occupancy across Tamil state on 800 screens and grossed the business of 17.20 crores. 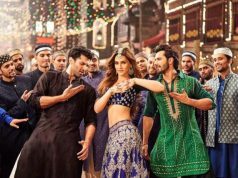 While in entire India, the movie reported excellent business and did the business of 25.90 crores including Tamil & Telugu versions. With this, Vivegam has dominated the opening record of 2015’s Vedalam (15.50 crores) and emerged as Ajith’s highest opener ever. But unfortunately despite having high number of screens, it got failed to bear the record of Rajinikanth’s Kabali (21.50 crores). On the next day i.e. Friday, asusual this south Indian movie too witnessed drop in footfalls but managed to remain strong at box office. 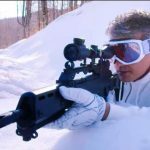 On second day, Vivegam minted the amount of 10 crores with 42% of drop than Thursday. 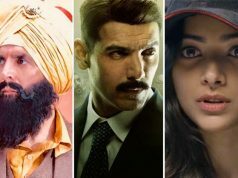 Due to favorable reactions from viewers, the movie expected to stay strong over Saturday and Sunday as well in Tamil Nadu and entire south India.